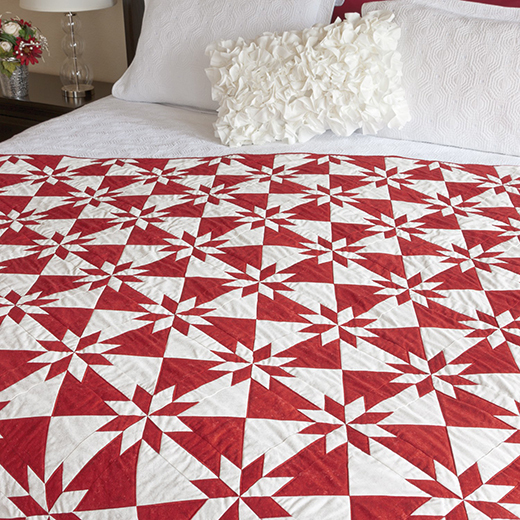 Festive Hunter Star Quilt is perfect for the holidays. Once you see how easy it is to cut these complex blocks with AccuQuilt fabric cutters, you'll be ready to make a few! This Festive Hunter Star Quilt designed by Accuquilt, The Pattern is available for free.